Lured by the Advertisements of Flex Belt? Here's The Sour Truth Behind the Product! We consider being slim or thin to be synonymous with “being fit” or being healthy. Due to the social media boom, people are vying to have the celebrity kind of "figure". It is only human nature that one will get tempted to mold their body in a way that resembles that of the celebrities and models to fit into the category of beautiful people. It's no wonder people are in a hurry to lose weight and gain acceptance in society. They are even researching for quicker methods like intermittent fasting to lose weight and become fit. One such "method" to lose weight is by making use of the Flex Belt. What is the - Flex Belt? 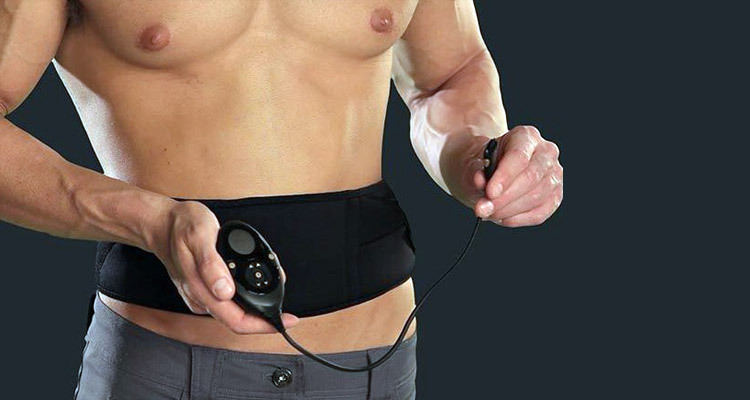 The Flex Belt is a Food and Drug Administration (FDA) approved gadget to maintain the shape and intensify the muscles of the abdomen region with the aid of moderate electrical stimulation. ​As per the manufacturer, the Flex Belt shapes the abdominal region and toughens up the core section of the body. If a person is under a lot of work or is tired to do a conventional workout, the Flex Belt can aid in exercising the abs. The website gives the guarantee to the customers that it will provide maximum help in toughening the core. The customers will feel a gentle pulse which will then be accompanied by strengthening of abdominal muscles. The muscles will be able to contract without much difficulty and the customer must hold themselves in a tightened position for few moments before the customer can relax. The vigor of the impulse is between 1 to 150. The customer has the power to regulate such impulses. Thus, Flex Belt asserts that irrespective of the kind of food you consume, or the workout you follow (or maybe you follow no workout routine), Flex Belt can furnish a much better and a healthier body through the aid of electronic impulses. The method of doing so is easy. One needs to slide on the belt and the electrical waves will trigger the nerves, which will cause the muscles to contract in a way that is homogenous to a rigorous workout station. There is no physical action undertaken in this. Thus, a person can just be sitting at his workplace or in front of the television wearing this and expect his body to become fit. Unfortunately, Flex Belt has given false hope to people who are not fond of undertaking any physical activity. With such regrettable inventions, we are eliminating discipline from the lives of the people and convincing them to prefer taking the shorter route. If you look at the reviews, almost 100 percent of the users will claim that the Flex Belt is effective if regularly used for almost six weeks. Users have felt a difference in their abdominal muscles becoming stronger and they can see themselves being in shape. Flex Belt states that their product is the foremost abdomen toning and strengthening device to which the FDA has given its approval. This needs thorough inspection though. The FDA bears the onus for monitoring products which might cause an adverse effect on the health of the society. This comprises food products, cosmetic products, pharmaceuticals, medicines, and medical apparatus. One should submit a medical apparatus to the FDA for the product to be FDA approved. Do not forget to send an application for the assessment of the same along with your medical apparatus. Before they can approve it, the apparatus must show that the apparatus will not lead to harmful consequences upon its usage to the general population and it will give benefit to the population. The very fact that a product has been approved by the FDA suggests that the product is not disastrous. But, an approval from the FDA should not be considered that the product is a mystical phenomenon which will immediately change the customer to a fit person. Flex Belt makes use of electronic muscle stimulation. It is made in a way to provide moderate electrical stimulations to the nerves so that the abdominal muscles begin to contract in a manner which resembles to a core area workout. Corresponding technologies have been used in the past to provide relief to muscular issues. However, it has been in the current years that the manufacturers are trying to use such technology for the objective of health. 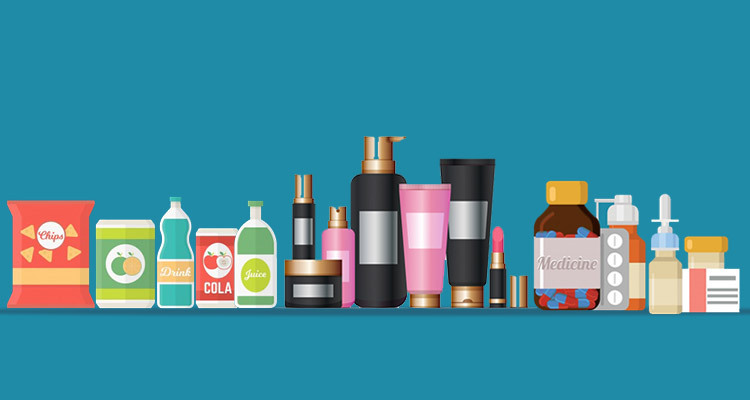 ​How Many Times Should You Use the Product? The company suggests that the product must be used every day for at least four to eight weeks to achieve the desired results. Post this duration, the regularity of the usage of Flex Belt can be decreased for two to three weeks just to maintain the session. ​One thing that attracts people into using Flex Belt is that the belt can be worn anywhere and at any time of the day. Thus, this gives ample amount of time to the customer to carry on with their respective work, without having to carve out time for workout. ​How does the Product Work? The Flex Belt has an inner lining of prior situated medical grade sticky gel pads. The pads envelop the center of abdominal muscles along with external oblique. The filming on the pad attaches to the skin of the customer. 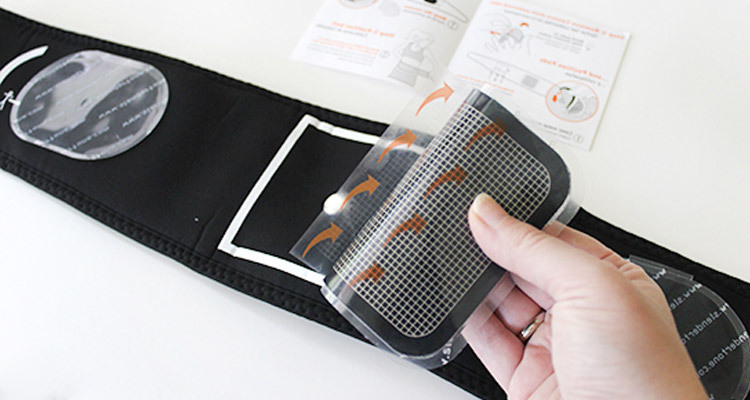 The pad aids in conducting the stimulation of the belt into the muscles. ​But hey, is this really the right pick? What are the things one needs to consider before taking this step? When the customer puts the belt on, the customer has the flexibility to regulate the intensity of the impulse. The strength of the electrical stimulations can be moderated accordingly. New customers can use the device from a lower intensity range of 1 and slowly increase the intensity levels. Post the usage, the customer can continue with their work. As the Flex Rechargeable Power is free standing, Flex Belt can be conveniently worn anywhere. It can trigger the abs of the customer while the person is involved with chores, shopping for groceries or even doing simple task of sitting at home and viewing television. Customers have observed that they can feel their muscles have been exercised. The reason why the customer is able to regulate the stimulus from the device is to avoid causing any hurt or discomfort to the user. At regular intervals of time, the gel pads needs to be substituted as it begins to lose its adhesiveness. The developer of Flex Belt asserts that the gel pad can be worn for approximately up to thirty uses before the gel pads can be substituted. It has also been observed that gym enthusiasts do not manage to complete their full workout, probably due to lack of time. Flex Belt also offers other products such as Flex Mini or Flex Arms so that they complete their entire workout session at their own convenience. The kind of marketing and advertisement that has been undertaken by this company has proven to be successful. The fact that this product has been approved by the FDA, persuades people to purchase such a product. ​Though the product is approved by FDA, there are extremely limited information regarding the efficiency upon using the product. FDA has not undertaken qualitative research into the product before approving it, which makes me believe that the product is dicey. ​The price of Flex Belt is 200$. ​People say this product is simply a one-time investment, leading to benefits people want. ​Yet, such a product can be afforded by those whose pockets are deep. ​People with fixed income will find this product burning a hole in their pocket. ​There will be additional cost of gel pads which has to be changed in every thirty days. The gel pads also do not come cheap. Thus, ​you'll be purchasing the gel pads, not realizing the a lot of money is being spent on this product, which can be saved by doing some workout. ​​The company does not provide free trial period for customers who simply want to examine the product before investing in it. ​The customers have to purchase the product and have to test for themselves if the product will suit the needs. ​Although, as claimed by the manufacturers, the abdominal muscles will be exercised, the core regions of the body will be worked and it will shape the body overall, the product will not help the customer from losing any fat. ​So, What should You Do? People everywhere are woefully leading a sedentary lifestyle. Continuous long hours at work, which simply keeps them glued to the desk with very little room for exercise has made people look for alternatives to lose weight. Due to excessive stress, just to keep the hunger pangs away, people are not watching what they put inside their tummy. They are consuming copious amount of junk food, which increases the cholesterol level in the body and makes them prone to various heart related problems such as heart attack and so on. ​With invention of products like these and the promises made by the product manufacturers, for example, Flex Belt, people fall under an illusion. Many people have believed in the false promises of Flex Belt that by wearing such a belt, they can become fit and healthy. ​Though Flex Belt may tone the muscles, but what people fail to realise is that it isn’t going to strengthen the body completely. The body fat will remain, the cholesterol level will be high unless people do not make the effort to go out and exercise. People should also attempt at eating clean. By continuously consuming unhealthy or excessively fried food and not indulging in any form of exercise or physical activity, people are pushing themselves towards sickness. And therefore, they opt for fitness products like Flex Belt. Exercises are also recommended because it freshens and clears the mind. A five to ten minutes exercise can also do wonders to the people. People will build stamina and will be energized throughout the day to give in their hundred percent at whatever they do. You can even start doing Yoga with online program like Yoga Burn to not only lose weight, but also get focused, reduce stress, and improve flexibility. If people start depending on products like Flex Belt, people will never be motivated to move from the confines of their office or home. They will believe that by using the belt, all their health ailments will be eliminated. Customers also tend to use the belt without being careful about the food they are consuming. Thus, the entire purpose is getting lost here. With so much investment made into the product and not keeping a track with what one is eating, one is putting themselves more at risk. It has become the need of the hour that health experts and doctors come out and openly shun the manufacturing of such products. More awareness needs to be made regarding the benefits of doing physical exercise daily. Myths of such a product need to be debunked. The FDA should also scrutinize these products ever more closely. If federal agencies such as the FDA start approving products like Flex Belt on a regular basis, the health of the workforce will go down drastically. It is important for people to be able to differentiate between “shaping the body” and staying away from health ailments. Media organizations need to play a much more proactive role in making people accept their bodies and keeping themselves healthy. Less advertisement by celebrities must happen. ​The praise given to the bodies of the celebrities need to end. People should feel confident in their own skin. Sports celebrities can be used in a positive manner as they can influence a large number of people to undertake exercise or play sports or eat healthy and minimize the consumption of junk in order to keep healthy and fit. ​What's the Best Way to Lose Weight? The best way to lose weight is to introduce slow changes to the body, so basically crash diets and bursts of exercise are not really advisable. If you are thinking about exercising after being a couch potato for many years, you shouldn’t force yourself to do too much too soon. If you do so, not only will you make the process a struggle for you but you will also make yourself more prone to injuries. As a result, you will only feel more disheartened, and this can halt your progress and just bring you back to the way you were before. This is also true for crash diets. People who suddenly deprive themselves of certain foods can end up feeling really frustrated, which may eventually causes food cravings and binge eating. What then should you do in order to lose weight the healthy way? ​In order to lose weight, exercise and proper diet must come hand in hand. As long as you keep your calorie intake at a healthy level, you will most likely lose weight when you do it together with exercise. Some people may think that “exercise” is limited to sports, gyms, and other home workouts, but a 20-minute walk can actually be already considered an exercise. If you usually ride vehicles to get to places, it would actually be advisable if you try walking from time to time, especially if you’re not in a hurry. Studies have found that 20-minute walks can do great benefits if done during most days of the week. ​You can increase your activity levels by walking, running, cycling, and swimming. You can also try out team sports and other group fitness activities like aerobics and Zumba. Remember, you don’t have to go all out right away. If you’re going to get into any type of fitness activity, make sure you find it fun and convenient. ​Now, if you are currently classified as overweight, then it is just a reflection of your eating habits. This means that you have to give up your unhealthy food choices if you really want to shred off those extra fats. Weight loss wouldn’t be possible if you continue eating extra rounds of food, desserts, sodas, and more. Of course, this doesn’t mean that you should deprive yourself of your cravings, but you need to know how to limit yourself from eating such foods. Replace sodas, carbonated drinks, and powdered drinks with water. ​Go for skimmed or semi-skimmed milk instead of whole milk. ​Limit your intake of unhealthy treats such as sugary biscuits. ​Stop adding sugar to your coffee. ​Like I always say, there is no short-cut to lose the extra pounds. Hard work, perseverance and dedication is the key. Go ahead and get your lifestyle fixed for a healthier and fitter you!